Let automation make your Service Desk a superstar. 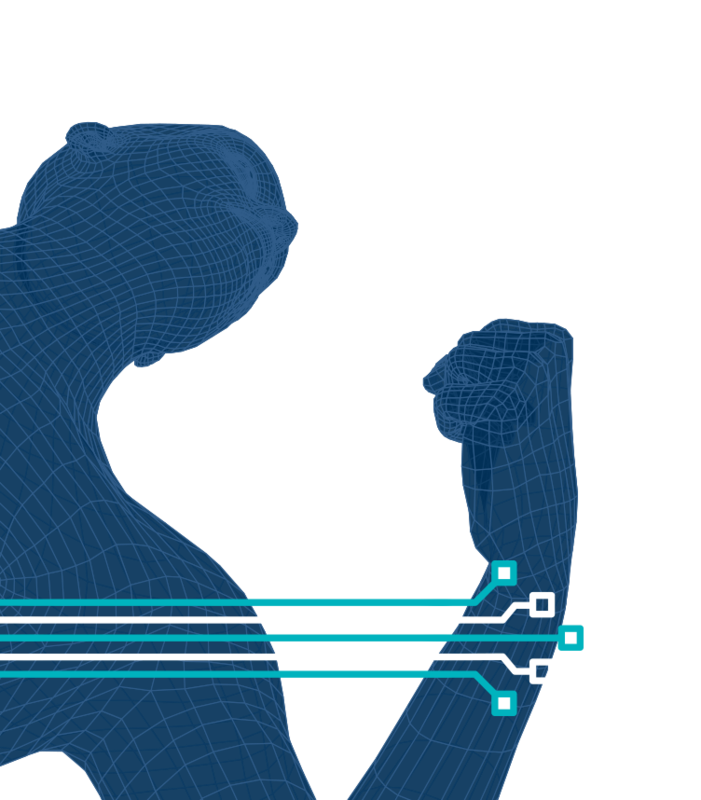 And more… our platform lets you customize and build new IT automations to your heart’s content! 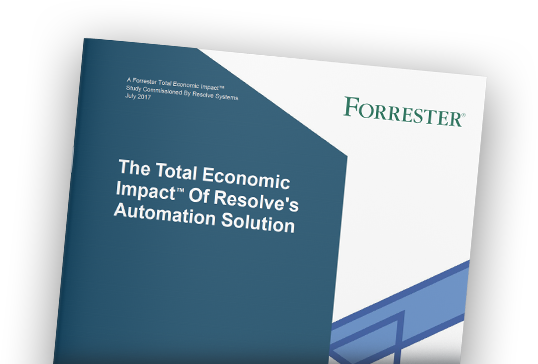 Automating Your Service Desk Is a Game Changer… Just Ask the Fortune 500s Who Use Resolve. We help Service Desk teams achieve unparalleled results when it comes to reducing MTTR, doing more with less, empowering and left-shifting frontline agents, minimizing escalations, and most importantly… satisfying end users and stakeholders. 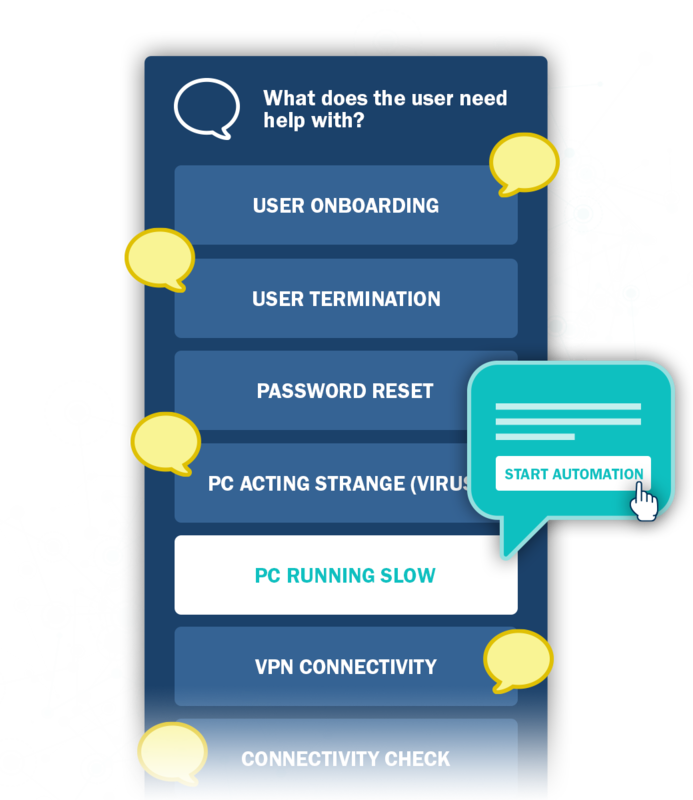 Want to Resolve Incidents in Seconds? Drowning in alarm clutter and sick of wasting time chasing down issues that really don’t exist? We can relate. Stressed out about how long it takes to diagnose and resolve real incidents? You’re in good company. Too many escalations got you down? We understand. 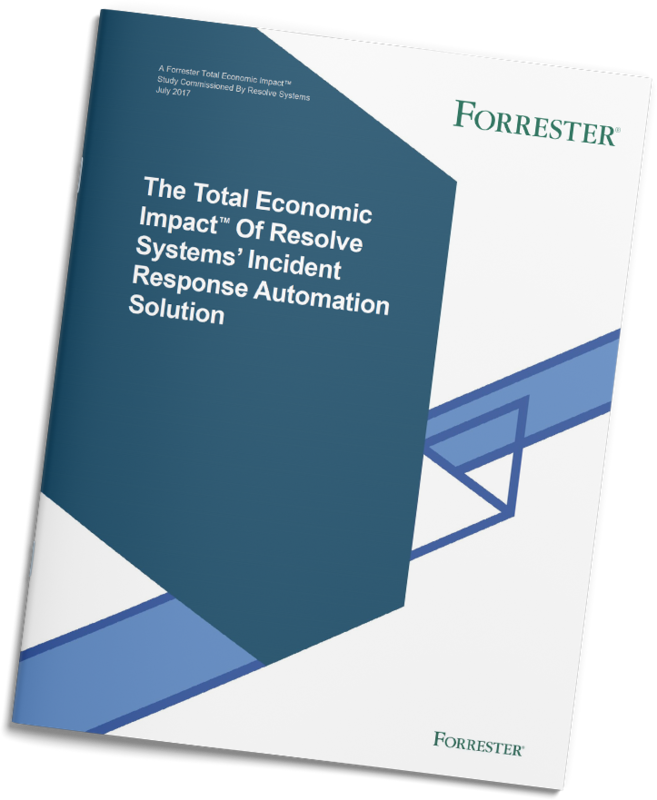 Wish you could automate responses to complex incidents? Been there. We take the anxiety out of incidents. 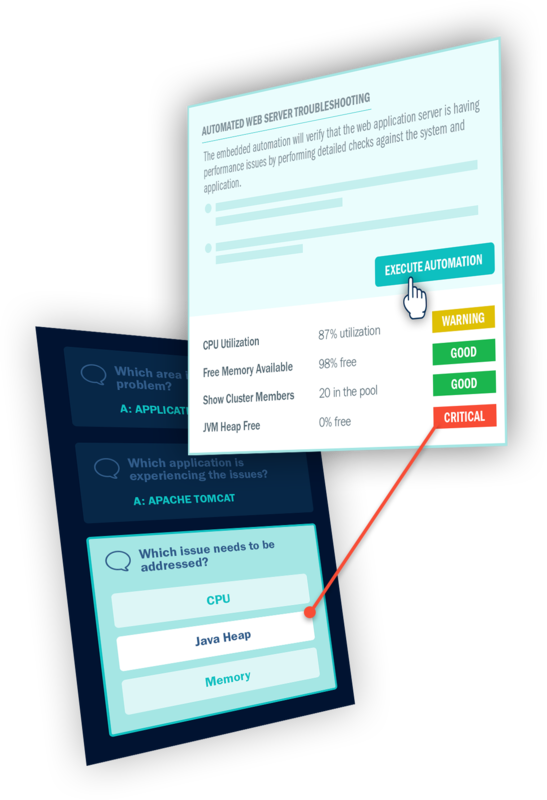 Resolve empowers you to address incidents (even the complex ones!) without escalating to Level 2 agents. Improve service delivery at scale by leveraging automation that helps you validate, diagnose, & resolve incidents quickly. Go from Average to Exceeds Expectations When It Comes to Incident Response. Ready to resolve incidents faster and reduce your escalations? Check out Resolve. Want to Fulfill Service Requests Faster & Make People Happier? You Can Do It with Resolve. Tired of end users complaining about how long it takes to fulfill their service requests? You’re not alone. Wish you could let users “self-serve” and fulfill their service requests on their own? Us, too. Are your Level 2 and senior SMEs spending too many cycles on reactive issues like service requests and not enough on innovating? Join the club. We empower end users and service desk agents with automation. With Resolve you can deliver services faster, close tickets on time, reduce escalations, and eliminate hand-offs between teams... and that means you can work on more interesting problems. Claim Superstar Status for Your Service Desk with Fully Automated Service Requests. 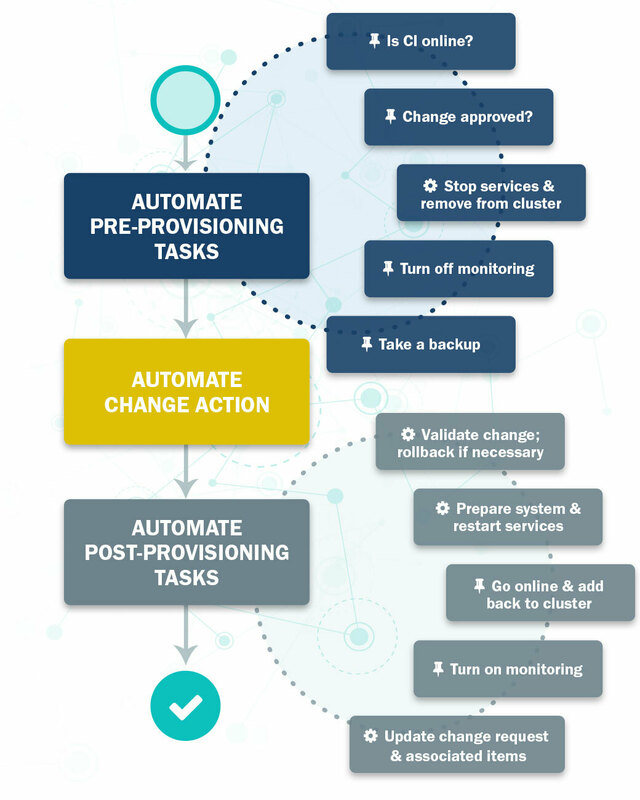 Ready to automate your Service Desk? Let Resolve do the heavy lifting. Do You Shudder at the Thought of Change Management? Overcome Fear of Change with Resolve. Do your users whine about how rigid your change management process has become? Been there, done that. Wonder why change requests have to involve painful, drawn-out processes with tons of manual approvals and handoffs across teams? We feel your pain. Are your spidey senses telling you that latest update to your database is going to wreak havoc on your applications? We know that feeling. Worried that your ‘audit trail’ consists of a random string of notes manually entered into tickets that are useless for rollbacks and audits? The fear is real. Resolve will change the way you think about change management. Resolve delivers SME-approved automations that eliminate human error and provide a rock-solid audit trail... and we can even automate post-change testing, so you can be 100% confident you didn't break anything! Crush Change Management with Resolve as Your Secret Weapon. Ready to embrace change? Let Resolve automate your worries away and make you a champion of change management.